For Cheap Skip Hire in Farington, Call 01772 957 509 Today! Are you looking for cheap skip hire in Farington? Here at Leyland Skip Hire, we provide free advice so if you’re unsure about what size skip your project might require, we can help! We have a complete range of Farington skips, including mini skips all the way up to industrial skips and enclosed compactor bins. If you need a service that you can rely on, we offer rapid delivery enabling you to make a start on your home renovation projects or your commercial waste disposal, right away. For garden material, why not hire one of our domestic skips? 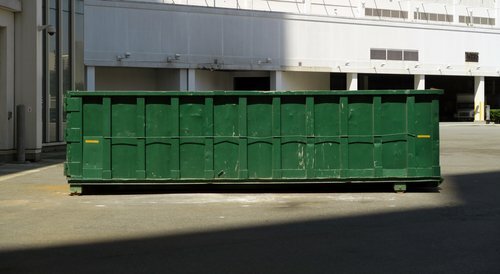 The mini or the midi skip is ideal because it has a drop door – making light work of rubble and soil. Another great benefit of using our domestic skip hire services is, you’ll reduce the risk of damage to your car and fuel consumed, by having to continuously travel to and from the tip with your waste. So, for Farington skip hire, look no further than Leyland Skips!